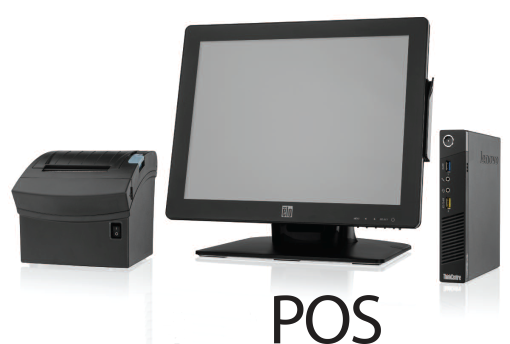 No business is complete without a point of sale system. Finding the right one can be a daunting task. Luckily for you, one of these RiO systems will fit your business needs. You’ll enjoy CPAY’s satisfaction guarantee and, of course, all RiOs are future-proof, equipped with the latest technology and highest security. Every aspect of payment processing is packed into in a modern, all-in-one unit. RiO features a built-in cash drawer, receipt printer, credit card swiper, flippable 13-inch touchscreen, customer display and laser barcode scanner. Just plug it in and you’re ready. Open Tabs – Coming Soon! Currently only a Hospitality Solution will need to use the ShopKeep ipad solution for Retail. Virtual Terminal is software that allows any computer with internet access to process credit card transactions. Virtual Terminal empowers businesses to extend their payment options by commerce-enabling existing office computers. Virtual Terminal allows merchants to accept credit and gift cards as card-present transactions using an inexpensive mag-stripe reader. Card-not-present transactions are processed by manually entering account information into the computer via a standard Web browser. • Processes transactions in 2-4 seconds. • Simplifies payment processing online. • Convenient access from any Web-enabled computer. • Secures every transaction with pre-authorization and encryption. • an “out-of-box” e-Commerce solution for your website. Now you can accept payments without boundaries and add incremental value with mobile POS acceptance, while leveraging the processors leading payment gateway, including extensive reporting and the flexibility to adapt your payment solution as your business grows. Mobile Pay is a secure, complete payment solution that transforms mobile devices into terminals, allowing you to accept payments quickly and securely anywhere, any time without a major investment of money or effort. Our secure mobile solution is a natural extension of our full service offerings that builds on over 20 years of industry experience by providing flexible, secure and scalable payment solutions to businesses of all sizes. Mobile Pay is an innovative offering for businesses of any size that want more than just a mobile payment solution from their payment providers. Security – No card or payment information is stored your mobile device. In addition to encrypting card data at the time of swipe through secure card encryption readers, all payment information is immediately sent to and stored in our secure hosted environment and behind our firewall to ensure security of cardholder data and to provide added protection for you and your customers. One of the most successful – and affordable – sales strategies small businesses use to attract consumers is selling their own branded gift cards. By some estimates, 9-out-of-10 consumers have either purchased or received at least one gift card in the past year – and you may be surprised how many gift cards are purchased outside the traditional retail environment. Medical and legal practices sell prepaid services. Businesses issue gift cards instead of refunds (where allowed) – which keeps more money in your register. Community associations, such as chambers of commerce and downtown development authorities, provide gift cards from local businesses to welcome new businesses and homeowners to the community… which act as “coupons” that encourage local shopping. • Approximately 70% of consumers making purchases with gift cards will spend more than the value loaded on the gift card. MasterCard and Visa. Today, the EMV standard is managed by EMVCo, which is a joint venture of MasterCard, Visa, American Express and JCB. There are more than 1 billion EMV cards in circulation globally, along with nearly 20 million EMV terminals. Cardholder data is more secure on a chip-embedded card that utilizes dynamic authentication, than on a static mag-stripe card. (P2PE) and tokenization that protect cardholder data and help prevent the types of system attacks associated with a data breach. NFC (Contactless) devices make life easier and more convenient by completing transactions with a single wave, available with Apple Pay. • Gain an edge by accepting eChecks. • Give your customers more ways to pay. To help merchants acquire and retain corporate and government clients and maintain a competitive advantage in the small to mid-sized arena, eProcessing Network (ePN) offers Merchant Level III – Enhanced Data Processing through multiple processing platforms. ePN leverages their combined knowledge and experience to bring Business-to-Business (B2B) and Business-to-Government (B2G) eCommerce to merchants interested in processing commercial and high-ticket transactions. Level III processing requires the most robust and detailed amount of transaction data including item commodity code look-up, description, quantity and tax rates for transmission. As Corporations, Educational entities, and Business organizations move away from manual invoicing processes to the use of Purchasing Cards and automating the payment to the supplier (the merchant), Level III processing can help them save time and reduce expenses. To receive a no-obligation quote for Internet-based Transaction Processing Rates and Fees, click on Submit a Quote Request. Multiple merchant accounts are supported through a single gateway. Reduces operating expenses eliminating cross border fees with multi-currency processing generating 12% increase in revenues. Fully integrates with major 3rd party fraud-prevention platforms to reduce losses associated with fraud.